Iran? Are you insane?! You cannot actually think about going to Iran? Those were some of the reactions I got from people when I told them I would be starting my journey in Iran. But no, I am not insane. I went to Iran on a 23 day journey, and loved every second of it. 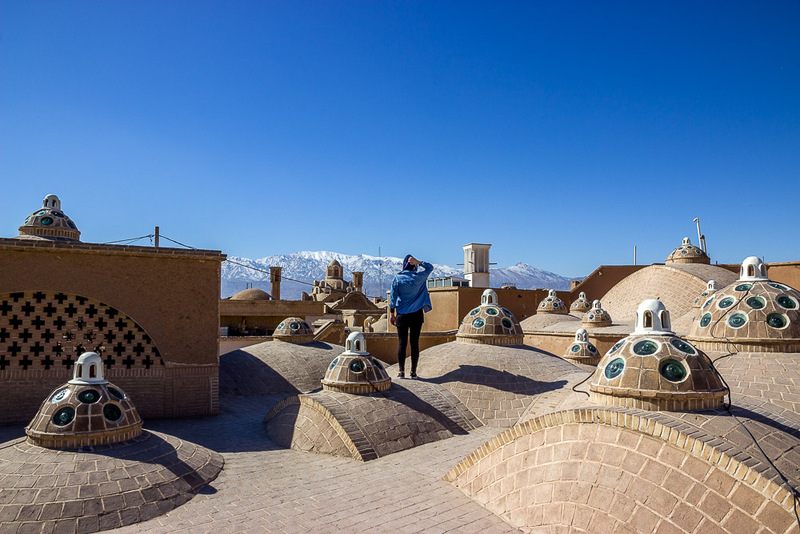 Iran is a true and unique adventure and here are my 7 reason you should visit Iran too. While many people would believe the contrary, Iran is safe. The central region of the country (where the most ‘tourist’ destinations are located) is considered safe by many national governments. 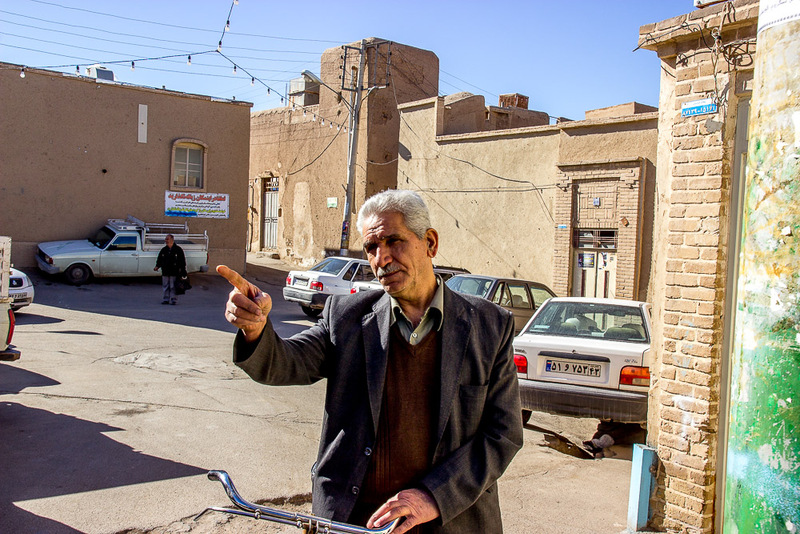 During my journey in Iran I had never felt unsafe. Yes, I was stared at constantly, but trust me you’ll get used to it. People will approach you constantly, but they just want to talk or welcome you to their beautiful country, so no reason to be afraid. Which actually brings me to reason number 2. 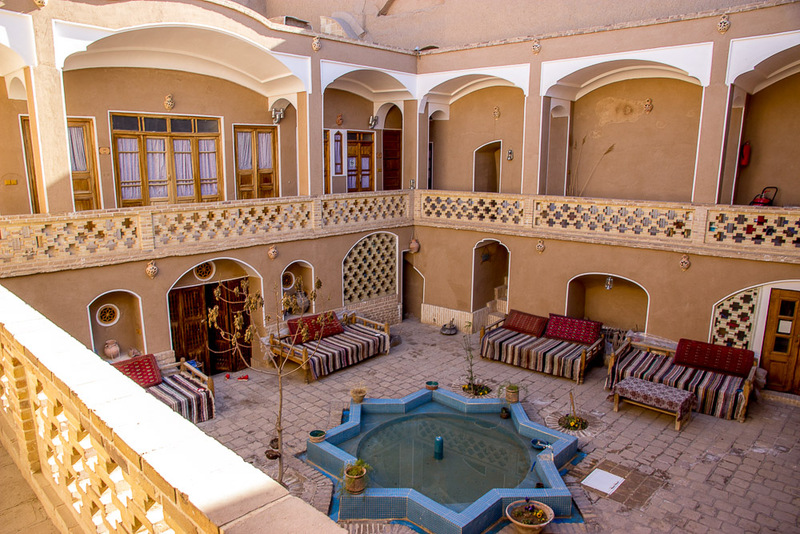 I read many travel blogs and all I read about was drinking tea at homes of local people, of people joining them for a small chat while they were sitting in a park, all wandering how they liked their beautiful country Iran. And it could not have been more true. Be expected to take pictures – a lot of pictures! And on top of that, everywhere I went I was warmly greeted by a “Hello! Where are you from?”. Followed by a “Holland? Aaah country of flowers! Welcome to Iran!” or a version of that sort. The knowledge of English language is limited, but that won’t stop them from trying. 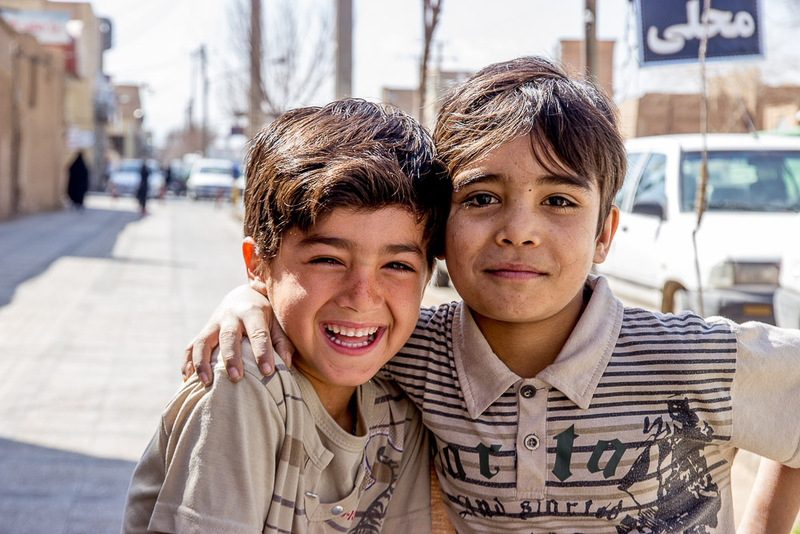 Iranian people are some of the most hospitable people I have ever met, and they will do everything in their power to make you feel welcome in their country. 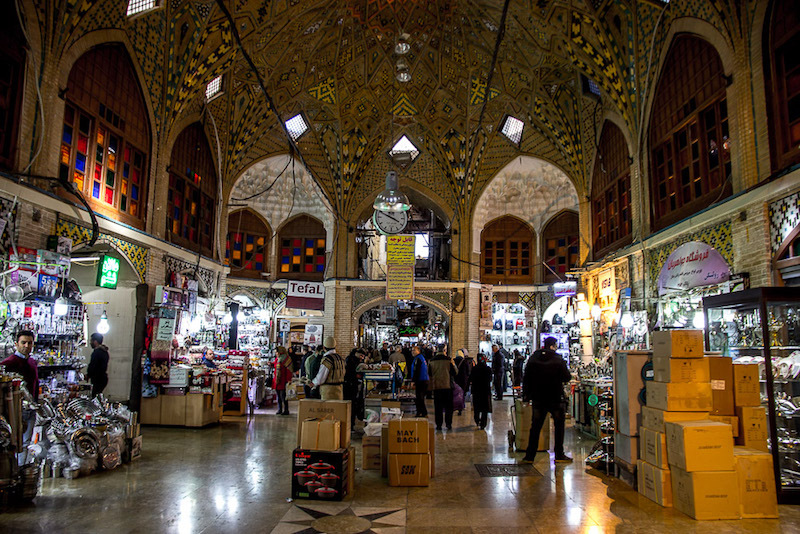 If you didn’t know it yet, Iran is a great budget travel destination. Hostels with dorms are popping up more and more over the country, offering a place to sleep for $10 -$15 for solo travelers. Long distance busses are as cheap as roughly $1 per hour, food can be budgeted to 10$ a day. I spent a total of $725 on a 23 day trip (excluding flight), averaging $31,50 a day. This allowed me to eat till my stomach hurt, to visit every sight I could imagine and even go on some tours. Does this still sound too expensive for you? Cut down your cost by going Couch Surfing, while illegal it is very popular in Iran. Couch Surfing is also a good way to get in contact with locals and learn more about the culture. Moreover, a lot of the money I spent went to sights I considered worth visiting, but you could decrease it by being a bit more selective or opting to visit the free mosques for example. 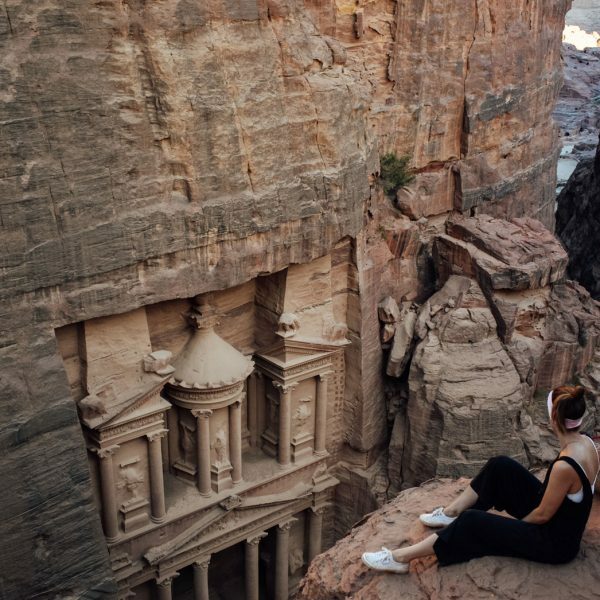 From fellow travelers I heard backpacking to Iran on $25 a day should easily be doable. Architecture, and especially the architecture as seen in mosques is just simply stunning. 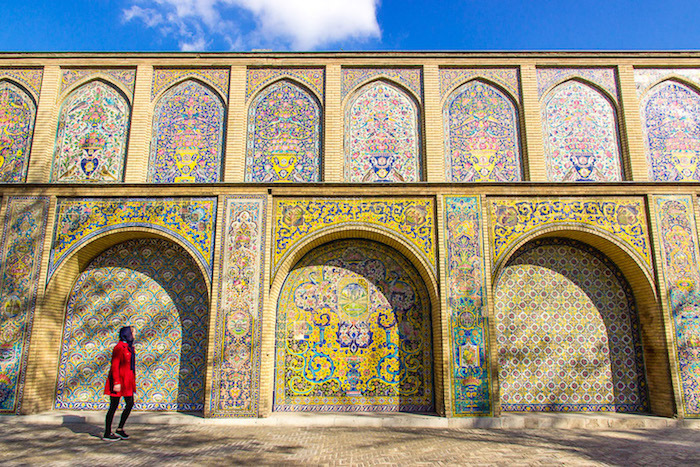 The country is covered in mosques, some older than a 1000 years, with the most complex mosaic designs and structures. 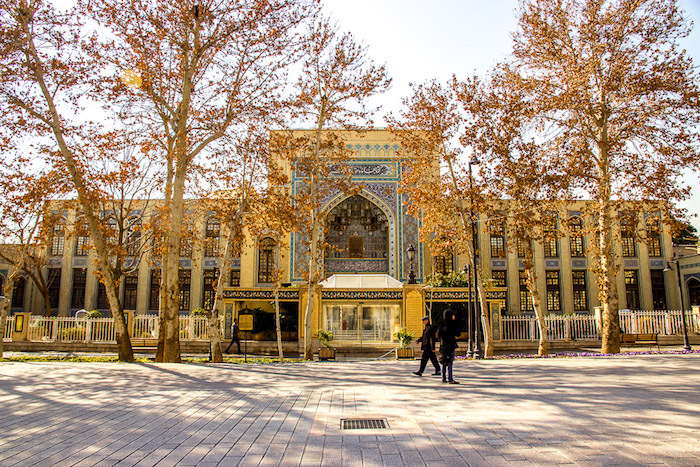 The most famous one might be the Nasir ol Molk Mosque, or the Pink Mosque, situated in Shiraz, down in the south of the country. 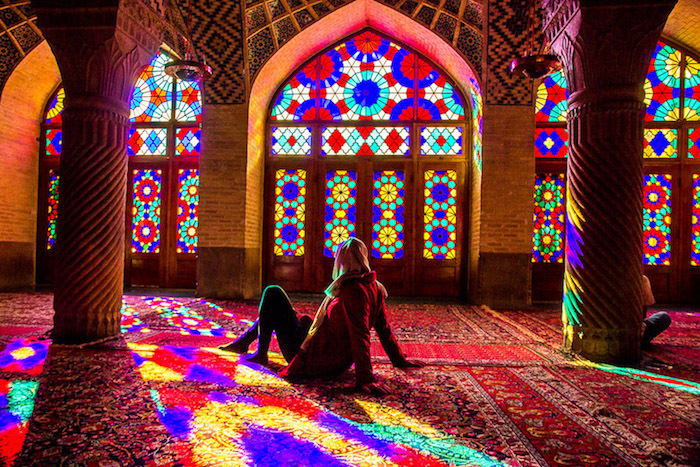 Witnessing the light shining through the stained glass windows, lighting the room up in the most bright colors, had been on my bucket list for ages and was what sparked my interest in Iran. I was mind-blown again and again by every mosque I visited. And lucky me, I even had the opportunity to climb a minaret in one of the most famous mosques of the country, giving me a whole new perspective on the already beautiful architecture. 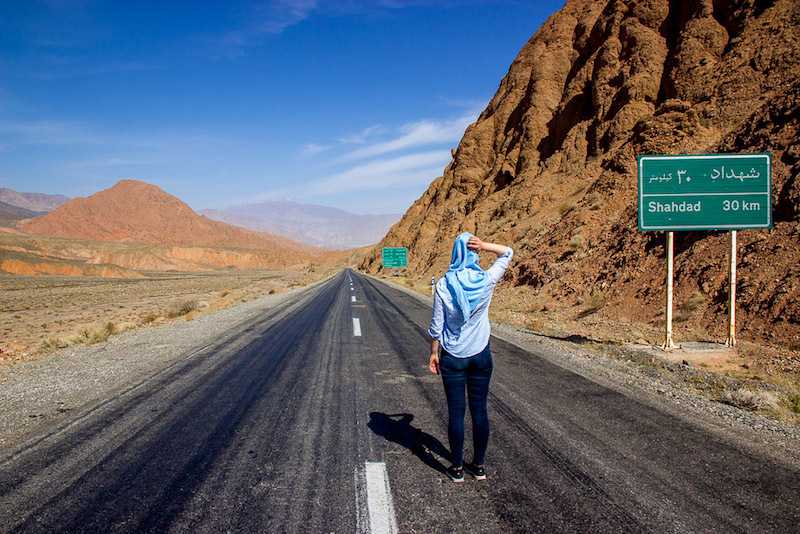 Yes, tourism in Iran is rising, but the country right now is still quite undiscovered by the large groups of travelers. 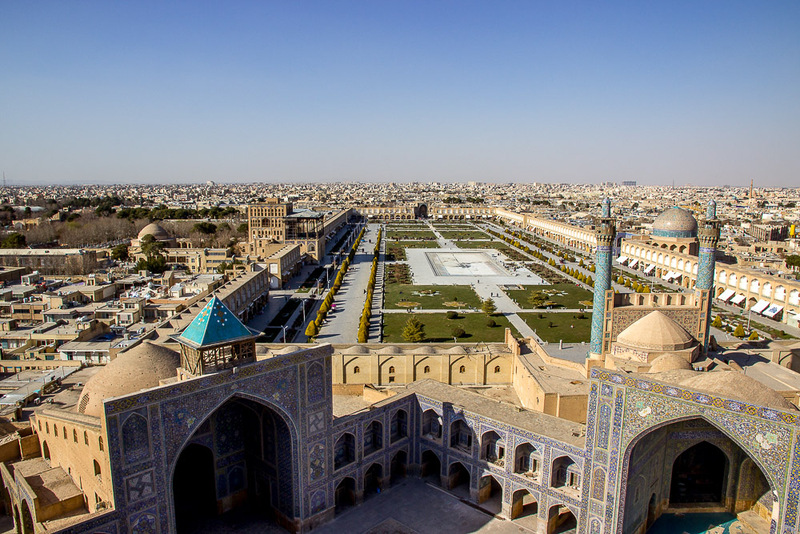 While some may laugh if you would even consider Iran your next destination, the ones that have been could not encourage you more to visit this beautiful country. Low tourism rates will give you the possibility to enjoy the country without buses of mass tourists wandering around sights, and will even create the possibility to interact with the locals and learn much about the country’s fascinating history. I traveled off season in the months of February and March and sometimes didn’t see any other Western tourist for days! Persian food is not for vegetarians, literally anything seems to contain meat. However, not a day goes by that I don’t think about the delicious Persian food. 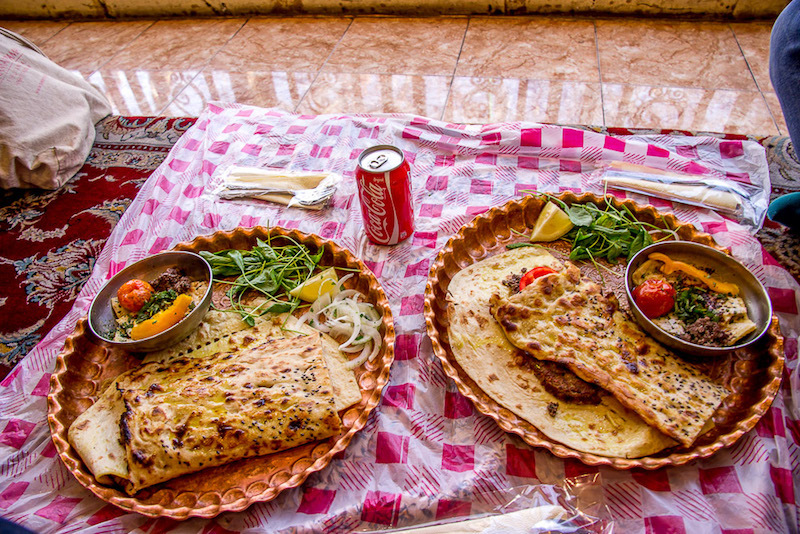 The food in Iran is incredibly flavorful (and greasy) and if you are not a vegetarian, I am sure you would agree with me. 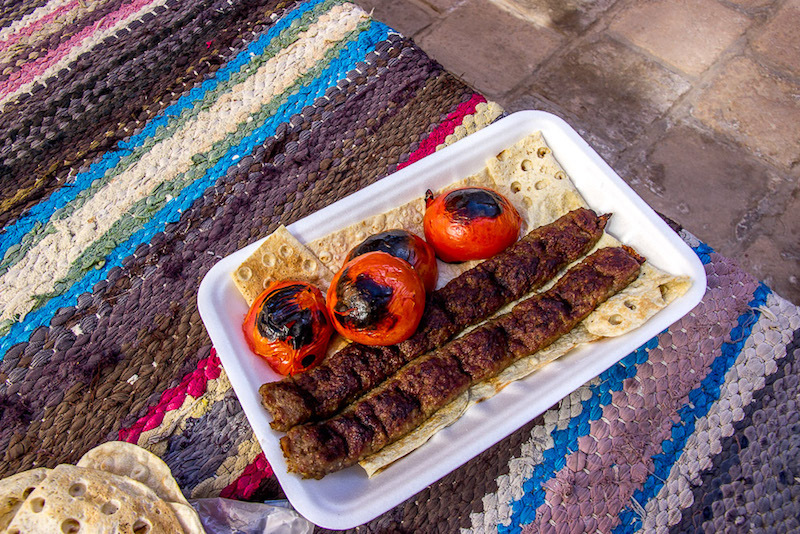 Enjoy the most tasty kebabs of your life served with fresh bread and grilled tomatoes! Willing to try something new? My favorite must be fesenjoon, a dish consisting of chicken in a pomegranate-walnut sauce. And while the dish doesn’t look that appetizing, it sure makes up for it in taste! For the vegetarians out there, if you still would like to enjoy some of the local cuisine try some Kashk e bademjan, a grilled eggplant dip best combined with some fresh bread. There is nothing wrong with backpacking around Europe, South East Asia or Australia but it is healthy to step out of your comfort zone once in a while. Go and discover a country as you have never experienced before, learn about a culture that is so unknown to almost everyone out there and grow as a traveler and as a person. Iran, in my opinion, is a perfect place to do that! Such a beautiful and welcoming country, undeniable a unforgettable experience. 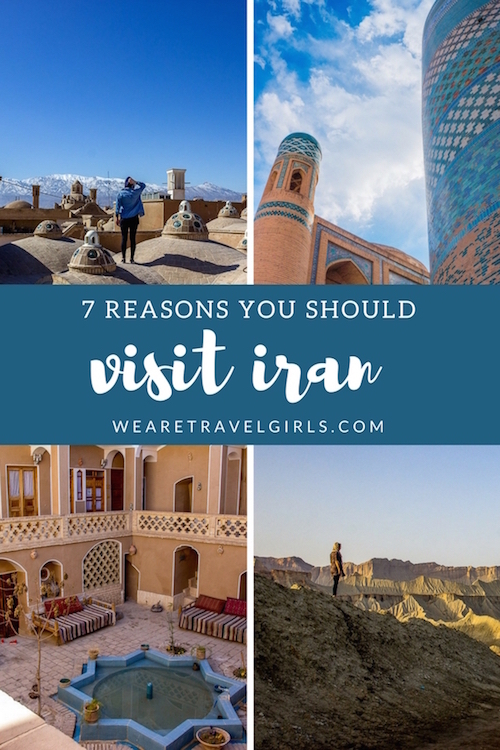 So there you have it, my 7 reasons you should visit Iran. Iran might not be for everyone, but if the thought ever crossed your mind I could not encourage you more to go. It will be an experience, you might have a culture shock (I sure did), but it will be a very unique story that not many will share with you. I visited cities, witnessed the beauty of Iranian nature, experienced the hospitality of the people and are a 100% determined to go again as soon as I can! Great post! I never really considered going to Iran but now I sure am! Thanks Lauren! It is such an amazing place, I definitely have plans to go back. Thanks Lauren! I am so happy I went, I could not encourage other people more to just go and see it for themselves! Wow, who would’ve thought that Iran can be so beautiful and welcoming to the tourists. I am not sure if I want to go there just right now, but I’ll definitely give it some thoughts. Thanks Zhanna, it really is! And for many people it isn’t on the first place, in the end there is so much to see in the world. 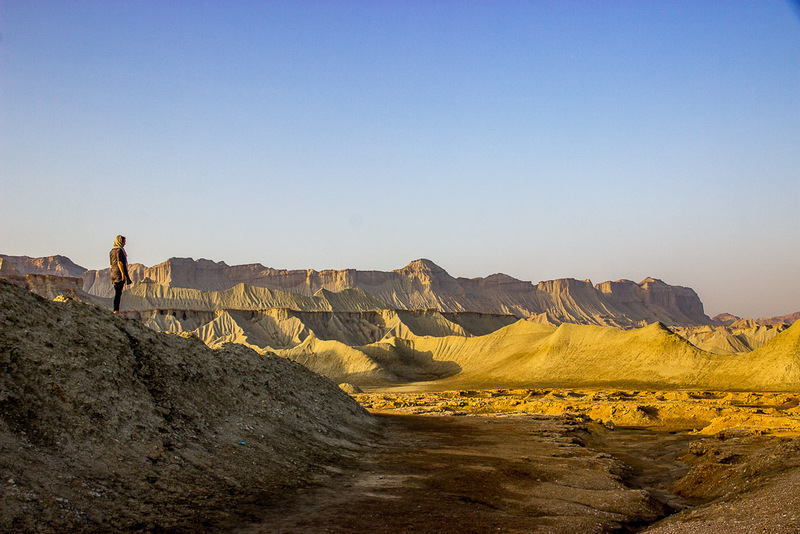 Should you be interested in going in some time, I have wrote articles and guides for traveling in Iran on my website http://www.omnivagant.com! 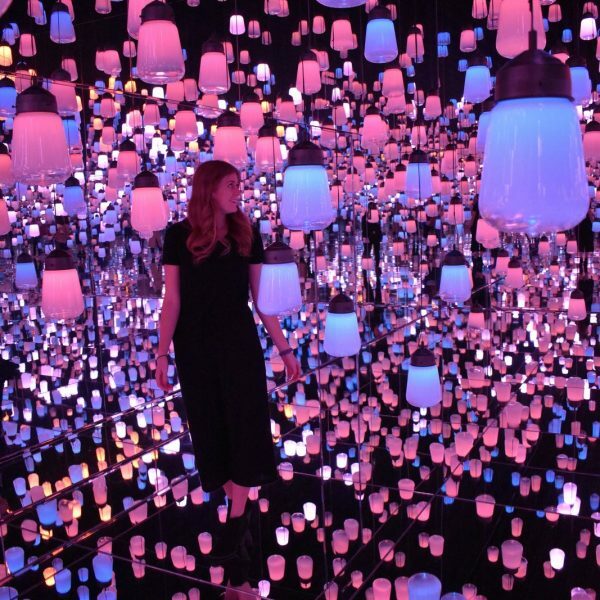 This was a brilliant post with such stunning photos! Thank you for sharing. I must admit I have mixed feelings though. I applaud Odette’s willingness to go where most are wary to tread, and wholeheartedly agree with not letting fear bind us. It makes me mad that as is so often the case, the activities of the vocal or violent minority penalize the peace-loving, beautiful quieter majority – as seen in Odette’s tribute to the friendly, kind and hospitable everyday-Iraqi. I too speak from experience as I live and do aid work on the magnificent, troubled island of Mindanao in the Philippines. Living here, I know that chances are if you visited, you’d be in no more danger than if you were to visit, say, the streets of France on Bastille Day, or a concert in London or to stroll outside a casino in Las Vegas. However, what I would say is if you DO decide to visit one of these places, remember that if something did happen to you, it usually has further ramifications than if you were to visit a country considered “safe” by your government. So please, please, please – always register with your country’s embassy – let them know you’re in the country; do thorough research beforehand so you are aware of where are places to avoid, what is culturally appropriate in terms of dress and actions and as I know you TravelGirls do anyway, show deep respect for these cultural standards. Thanks Lynne for all those kind words! I have to admit, once I made the decision to go, I got excited but nervous at the time. 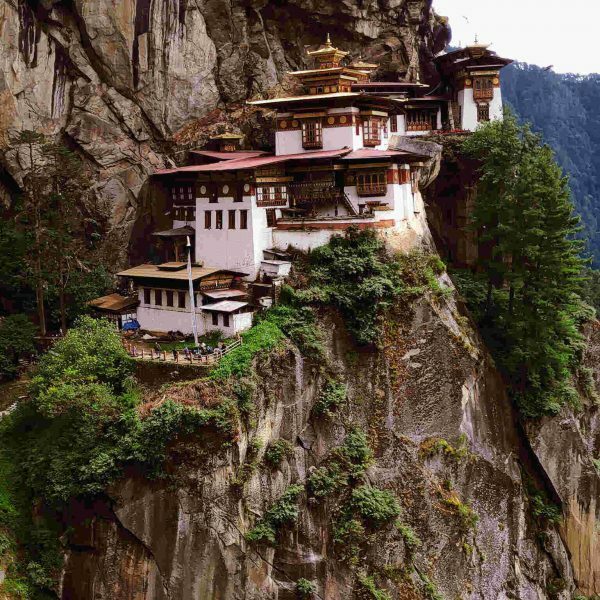 It is a complete under discovered country for most travelers! But traveling around was surprisingly easy, while I had to overcome some challenges, I look back at every single day as an amazing adventure. I completely agree with you when it comes to safety, I knew it wouldn’t come without a risk, but after some years of solo traveling around the world I felt I was ready to go. But yes, registering with the embassy is always a good idea. Thanks again for reading this article and sharing your thoughts!